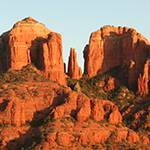 Sure 2 days in the Sedona can definitely feel a little rushed, but if you only have a weekend to de-stress and recharge your batteries, Sedona may be the best place in the world to do it. 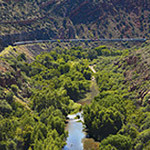 Whether you’re a local city slicker from the Phoenix, Scottsdale area or you’re from out of state and looking to get just a quick glimpse at what makes Sedona’s Verde Valley so spectacular, you’ll need to start your drive from the Phoenix metro area. 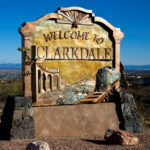 Sure you can fly in to Flagstaff and drive down, but it’s still over 45 minutes from the Flagstaff airport and most out of state flight end up flying in to Phoenix first anyway. 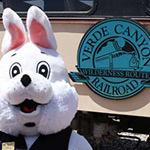 At the Verde Canyon Railroad we get folks of all types coming to ride the rails, so far be it from us to tell you that only a few hotels or restaurants will suffice. You may be coming up for a nice romantic getaway and want to take your date out to impress or you may be here for a family reunion and want to make sure that everyone in your group will feel comfortable at dinner. 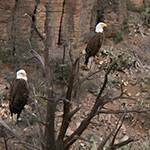 The reasons for coming to experience Sedona range from wildlife, to art, to spiritual awakenings and everything in between and the following hotels and restaurants are some of the best we know about. It’s up to you which one fits your vacation dream. An award winning local brewery and restaurant that's a must for any beer lover and serves up delicious grill style food including excellent wood fired pizza. 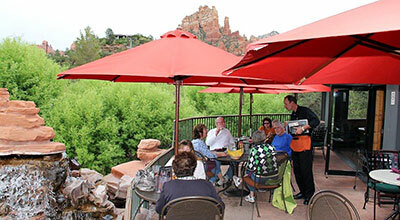 Like a lot of restaurants in Sedona, the views are also incredible. 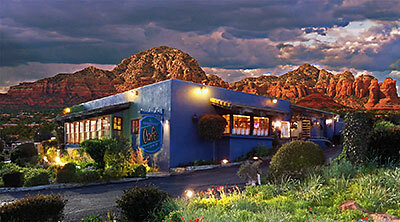 The place to go in Sedona if you're looking for a friendly Mexican restaurant to accommodate your whole family or group. 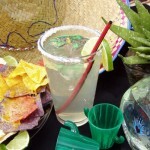 They also have some Southwestern type fare on their menu just in case and a full bar serving excellent margaritas. 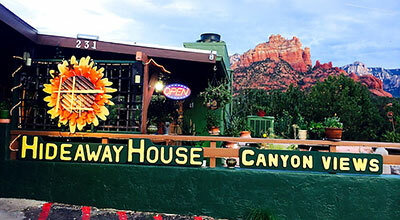 Deliciously prepared Italian food and incredible views served up daily by the friendly staff of the Sedona Hideaway House. A great value, local restaurant that the whole family will love. 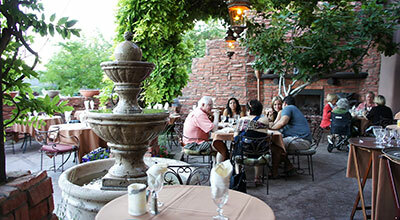 Thoughtfully conceived and wonderfully prepared Italian cuisine served in a luxuriously festive atmosphere. Whether you want a great dining experience or you're just trying to make good first impression, Dahl & Diluca won't disappoint. Farm to table style gastro-café serving delicious food that includes an eclectic selection of organic and gluten free options. 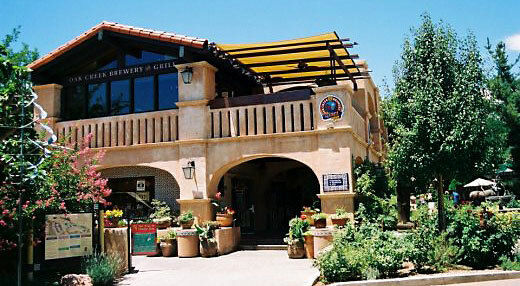 The menu's influence is all over the map from Asia to Europe with Mediterranean touches. 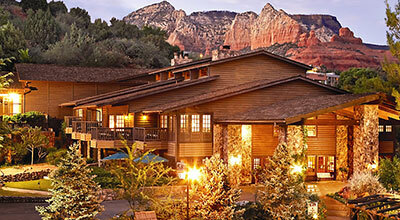 If you're looking for incredible views of red rocks, this beautiful hotel is surrounded by them! They have a ton of amenities available including complimentary breakfast, hot tub, and pool. 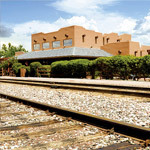 Plus this is one of the nicest hotels in the area to allow dogs and it's just 30 minutes from our train depot in Clarkdale. 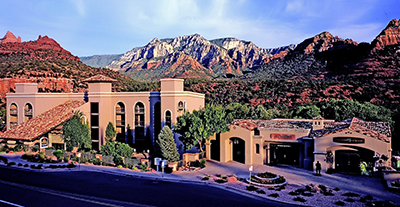 Booking itself as modern luxury in the heart of Sedona, the Sedona Rouge doesn't disappoint. 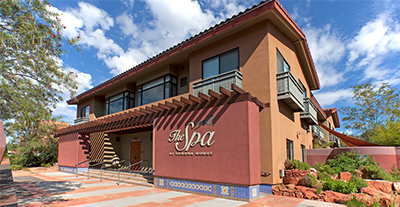 Recently expanded to include more rooms, an attached spa and tons of amenities, the Sedona Rouge is the perfect hotel for a relaxing weekend trip. 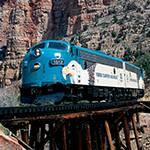 Plus, it's just 27 minutes from the train. Somewhere in between a B&B and a luxury hotel lies the El Portal. 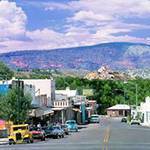 It's a sought after accommodation for those in the know and is both pet friendly and conveniently located near uptown Sedona. 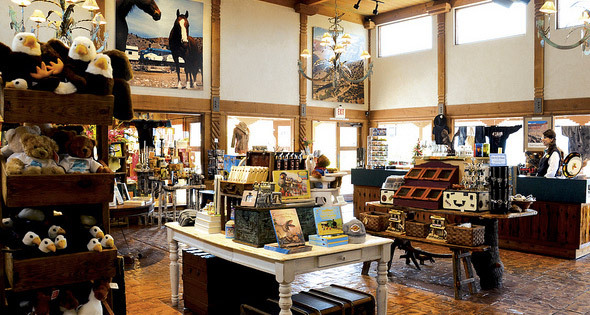 Located about 34 minutes from the train. 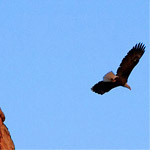 Offering your choice of one of 62 luxury cottages or 21 lodge style guest rooms. 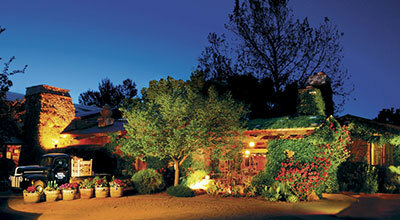 This is one of Sedona's most luxurious vacation getaways. 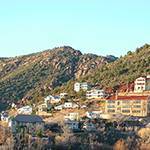 Located along beautiful Oak Creek, their list of luxury amenities is extensive. 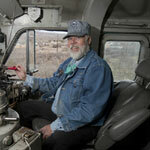 It's also just 37 minutes North of Verde Canyon Railroad. 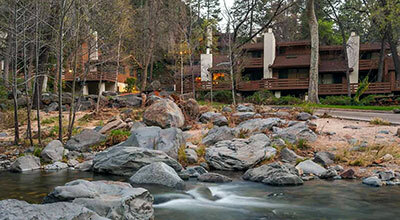 A modern resort with a rustic charm set creek-side in a forest about 8 miles North of Sedona. Unique in that you can rent your own private "creekhouse" that accommodates up to 6 guests and offers private amenities like hot tubs and unique views. 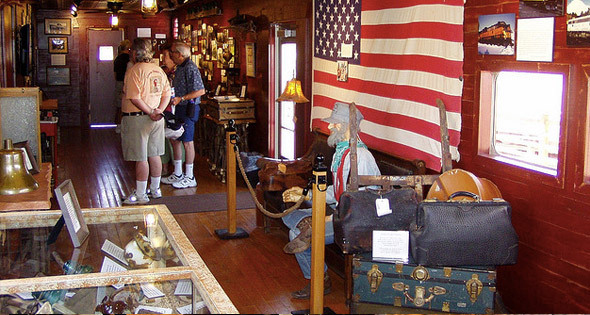 Located 49 minutes from the train.